Ethan has done some cute things this past weekend that I thought I would share. He loves pasta and was eating spaghetti yesterday. I told him that he was eating spaghetti and he said “uh-oh sko”. I’ve used that phrase a few times with him (uh-oh spaghetti-o) but I thought it was really cute that he put it together. 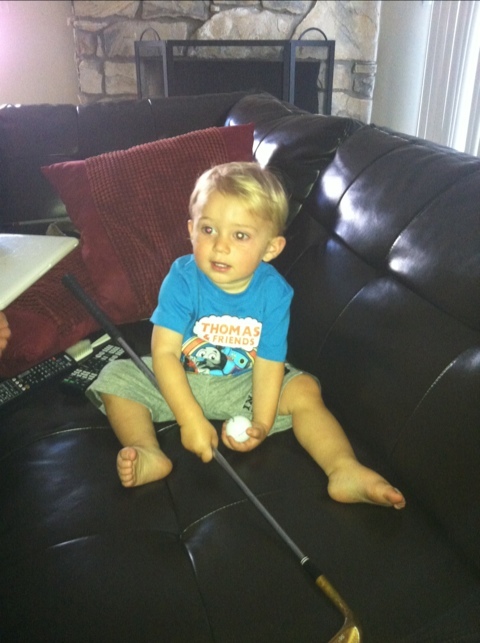 He has said “golk gul” aka golf ball a few times in the past but this weekend he’s been all about it. 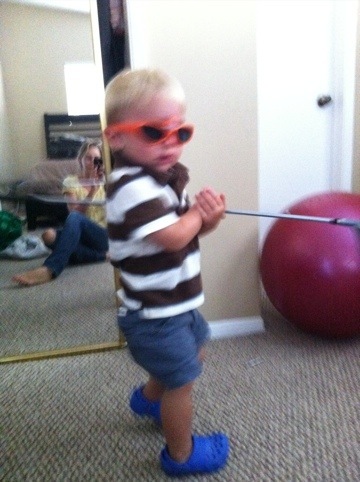 He’s been saying the word, and carrying the balls and daddy’s golf clubs around the house all weekend. I think we may have a future golf pro over here 🙂 That would make for one happy daddy! 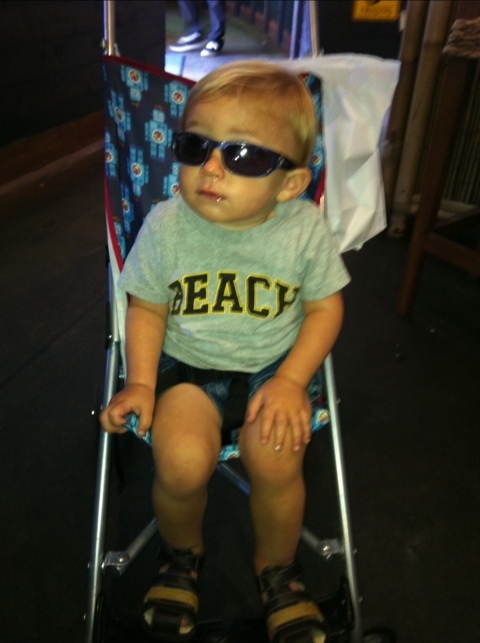 Ethan’s teething again and has a runny nose and has been a little cranky. I think the two molars that popped through a few weeks ago, may be making the rest of their appearance. I took Ethan to the Dr. this week (finally! 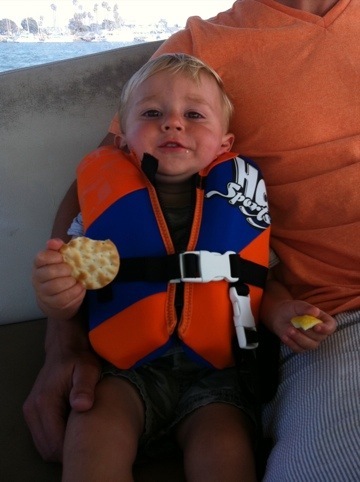 ), he was in the 25th percentile for weight at 24 lbs. The Dr. said he hasn’t grown taller since his last visit which I find hard to believe because he seems taller. I thought that I got a print out of all his stats, (head, height etc.) but I just realized that they didn’t give me one and I can’t remember what they were. I guess that is the life of a busy working momma 🙂 I will have to get it the next time I’m there.